The federal mail fraud statute has been on the books since the 19th century – 1872, in fact. In short, it has long been a federal crime to use the US Postal Service or other mail carriers as part of or in furtherance of a fraud. While communication by postal mail is perhaps not quite as prevalent as it was before the advent of low-cost or free telephone long distance service, e-mail and the Internet it is still a very common mod of communication. Consider that while people, typically, may no longer receive many personal letters through the mail or rely on it as a main form of communication, they undoubtedly receive a copious amount of solicitations, advertisements and other correspondence many term junk mail. Sometimes there is a legitimate question as to whether an offer is merely misleading or unclear or if it constitutes mail fraud. Understanding where that line is can help you avoid serious federal criminal charges. 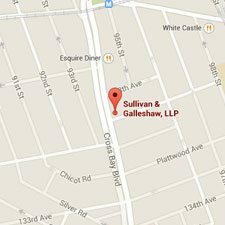 However, if you have already been charged with a crime, the experienced and strategic attorneys of Sullivan & Galleshaw can fight for you. What constitutes federal mail fraud? Places any object or thing in a designated post office depository box. Submits any object or thing to be mailed at a postal facility. Charles Ponzi – The namesake of the infamous Ponzi scheme was charged with mail fraud after he encouraged victims of the scam to reinvest in the scheme via the U.S. Postal Service. Of course, as we now know, there was no actual investment plan or program and the incoming investments were actually used to finance Ponzi’s extravagant lifestyle and to provide “returns” to early investors. James Paul Lewis Jr. of Financial Advisory Consultants – Not unlike Ponzi, Lewis also perpetrated an investment fraud scheme through the promise of a high rate of return. In reality, records showed that Lewis was using investor money to finance his lifestyle including for purchases of high-end cars and jewelry. Lewis was sentenced to a 30 year prison sentence and was ordered to pay more than $150 million in restitution after being convicted on mail fraud and money laundering charges. Bernie Madoff – While Madoff was charge with 11 an 11-count criminal indictment, mail fraud was one of the charges because, at least in part, Mr. Madoff had used the US Mail to send what he represented to be statements to his investors. Like in the above frauds, the funds were not actually invested and they were used to Madoff pleaded guilty to all 11 charges and was sentenced to 150 years in prison. Estimates regarding the amount of restitution to be paid is estimated to be in the $7 billion range. Mail fraud charges are extremely serious and carry harsh consequences. Upon conviction of mail fraud alone, a prison sentence of up to 20 years and a fine can be imposed. If the mail fraud affected certain relief benefits for presidentially declared disaster or emergency relief funds, the sentence can be enhanced to 30 years and a fine not in excess of $1 million can be imposed. The mail fraud statute is one of the favorite tools of federal prosecutors. 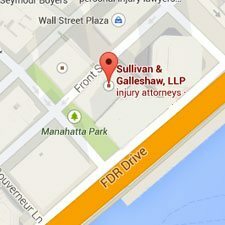 They are experienced and well-versed in building cases under the statute. When you are facing federal mail fraud charges, the loss of your freedom and significant fines is not outside the realm of reasonable probability. In situations like these, you need an experienced lawyer who will fight to protect your rights aggressively and strategically. 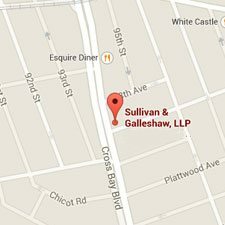 To speak with a Sullivan & Galleshaw criminal defense lawyer, call (800) 730-0135 or contact us online.